More and more of my students are using Microsoft Windows 10 machines, and my computer has been upgraded to Windows 10 a couple of week ago too. From my work and experience, a new operating system causes always some challenges, and Windows 10 is no difference. And no, this is not about Microsoft vs. Apple vs. Linux, this post is about addressing a potential and painful problem which I have observed with Windows 10 machines, and to my understanding it could happen with any other operating system too. The problem is that somehow on several student machines the bootloader and OpenSDA application on their FRDM boards did not work any more. I happened 6 times during last semester. In all cases a Windows 10 machine was involved. It is not clear under which circumstances it happened, it seems to happen rather random, and if the board has been put into BOOTLOADER mode. The OpenSDA application and bootloader enumerates as virtual MSD (Mass Storage Device) to the host. My speculation is that somehow the host machines read/writes to that device in a way to confuse the bootloader/application on the board. As a result it seems to me that this leads to some programming sequences which then invalidate and corrupt the bootloader and application on it. 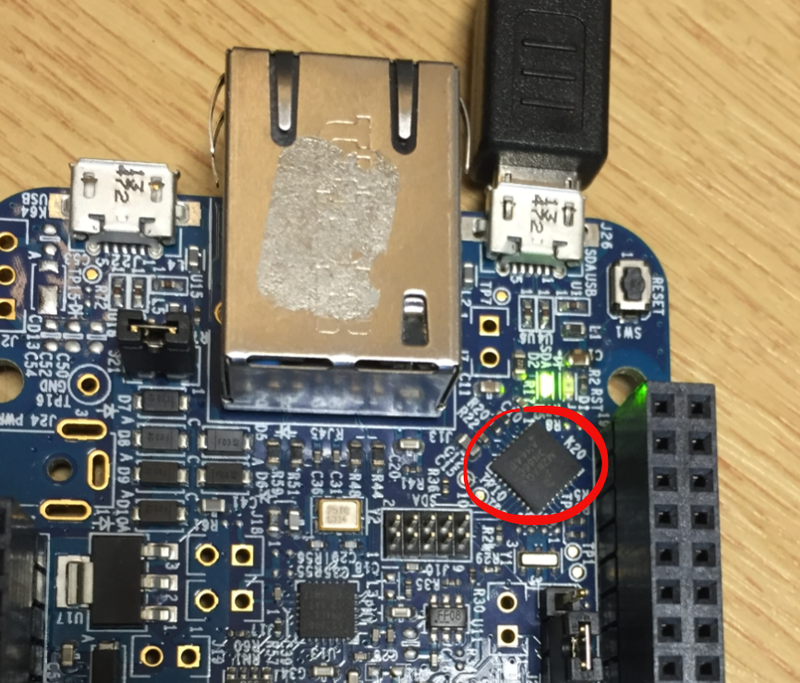 Only OpenSDA V2.0 (NXP FRDM-K64F) and OpenSDA V2.1 (NXP FRDM-K22F) boards were affected: these board have an ‘unsecured’ (mbed) bootloader on it which can be overwritten as it is open. The OpenSDA V1.0 bootloader (produced by P&E) on the other side seems not to be affected as the bootloader firmware is secured and protected, so it cannot be erased. So the problem seems to be related to the OpenSDA V2.x bootloader. Be prepared to reprogram it with the original firmware. There is a new beta OpenSDA V2.2 firmware (see this link) which seems to be able to deal with the issue. To reprogram the OpenSDA K20, you need first the bootloader firmware file. You might consider cloning it from a working second board (see “Recovering the FRDM-K64F Bootloader, or: Cloning the Program of a Microcontroller“). 💡 Be careful to select the correct bootloader file. 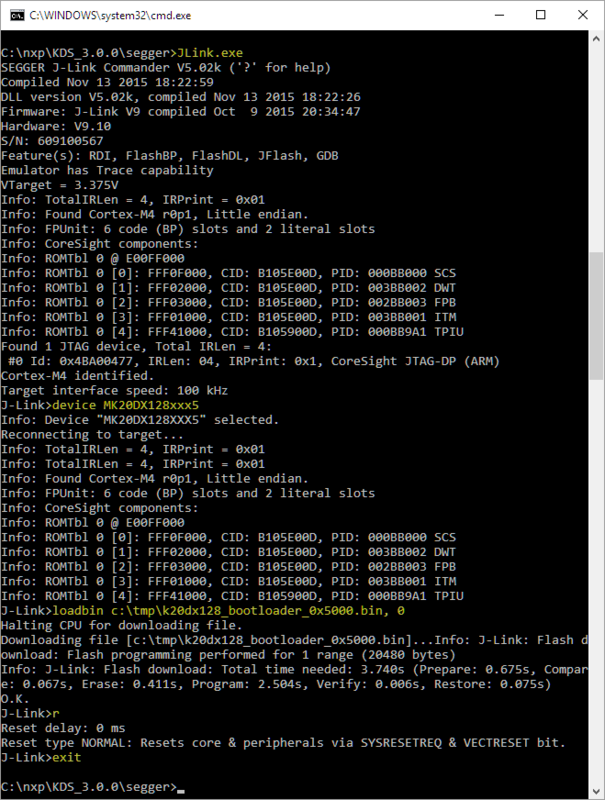 The FRDM-K64F V2.0 bootloader uses a different base address for the application than the V2.1 one. 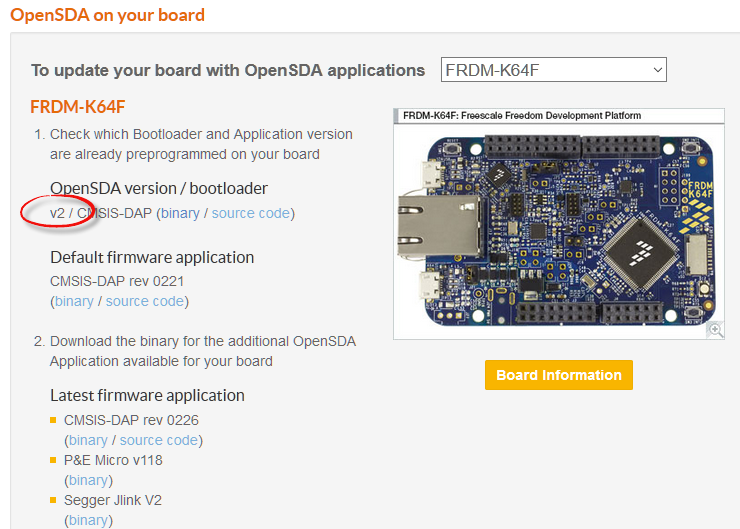 You might give the V2.2 firmware on new OpenSDA v2.2 Bootloader binary for FRDM-K22F a try. 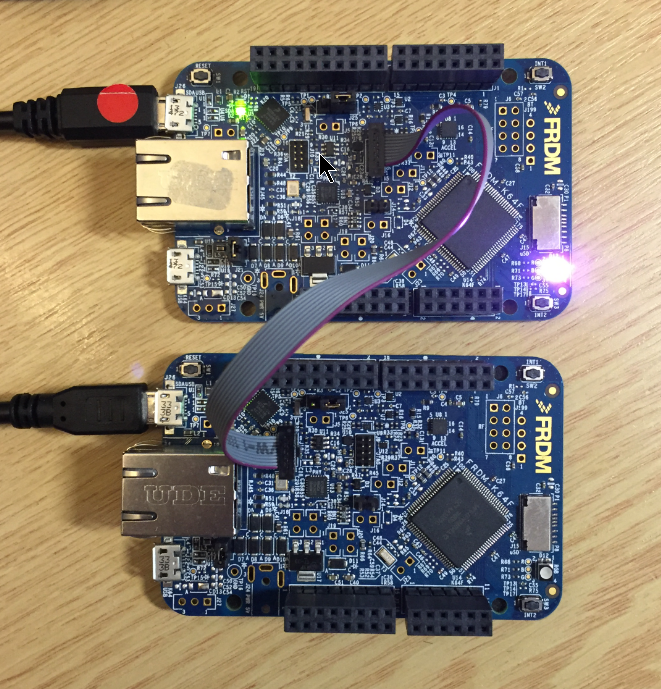 If flashing this to the FRDM-K64F, then you need to load V2.1 debug applications to it! In any case, you need a separate/external device to re-program the bootloader. The recommended solution is to use either a Segger J-Link or a P&E Multilink. Alternatively another FRDM board like the FRDM-K64F can be used. If you don’t want to use an IDE, you can use the Segger J-Link Commander which is part of the Segger J-Link software package. It is part of Kinetis Design Studio too. Otherwise it is available from here. 💡 Keep in mind that the Segger license agreement only allow to program an evaluation board (FRDM, TWR, etc), not a custom hardware. The P&E OpenSDA V1 debug firmware does *not* allow to program any off-board devices. Windows 10 can corrupt an OpenSDA V2.x bootloader. To recover the bootloader I need a programming device and the firmware file, then I can restore the bootloader. While I could use another FRDM board to recover it, it is much easier using a P&E Multilink or a Segger J-Link. Anyway I think for serious development I don’t want to depend on the OpenSDA interface only: to have a ‘real’ debug probe like in this case can safe many hours of work. 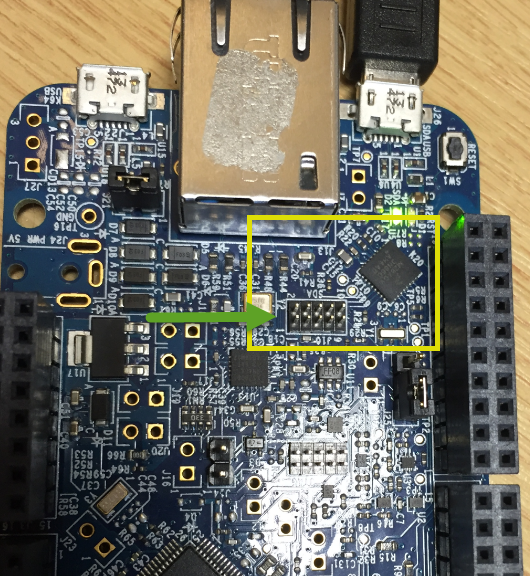 This entry was posted in ARM, Boards, CPU's, Debugging, Eclipse, Embedded, FRDM-K22F, FRDM-K64F120M, FRDM-K82F, Freescale, KDS, Kinetis, mbed, NXP, Tips & Tricks and tagged Debugging, Eclipse, Flashing, freedom board, Freescale, KL25Z Freedom Board, KL46Z Freedom Board, NXP, OpenSDA, P&E, Segger, Tips&Tricks by Erich Styger. Bookmark the permalink. Maybe it’s the same problem? Thanks for providing the link to that video! Yes, I think this is the same problem. The video seems to indicate that it is especially a problem if using the CMSIS-DAP debug application. It suggests to use the SEGGER J-Link debug app a workaround before connecting the board to Windows 10. That might reduce the risk, but I had boards affected which had the Segger J-Link debug app already on it before connecting to Windows 10. A linux distribution based on red hat or debian is much better tahn windows. I don’t think that it is true in such a general way. I have seen problems on Mac, Windows and Linux, in different variations. I don’t think any of the host OS is to blame. There is freedom of choice, and each choice does not fit everyone. The important thing is that there is a choice. I almost forgot that issue with Windows 8 (see https://mcuoneclipse.com/2013/10/12/frdm-board-bootloader-fails-with-windows-8-1-preview/) and that it applies to Windows 10 too :-(. Yes, you still need a Windows 7 machine available to update the bootloader (see https://mcuoneclipse.com/2014/11/01/illustrated-step-by-step-instructions-updating-the-freescale-freedom-board-firmware/). That issue BTW is affecting both Mac OS X and Linux. So I guess it is always good to have a Windows 7 machine around to get the bootloader updated. It seems to me that the NXP repository and all the stock of the vendors out there still have that old bootloader on it. I had ordered a few FRDM-KL25Z boards recently for my next course, and they had all that original bootloader on it, so I had to use a Windows 7 machine to update the bootlader first. After that I have not seen any issues using th FRDM-KL25Z with Windows 8, Windows 10, Linux and Mac OS X. 1- I got 2 KL17 and 2 K22F fresh chips. Soldered KL17 in a breakout board with just the basic bypass cap, Vdda/Vssa/Vdd/Vss powered on. Using a well regulated power supply with overvoltage protection (3.3V). 2- One KL17 got FSEC “SECURE” on arrive in the first boot. I suspect i just damaged the chip because i had to rework the soldering, it was stressing. The second chip worked as expected, started uploading test applications (KDS), using bootloader as programmer (FlashTool), taking care FSEC and MEEN bits are on a “health” state. All of sudden, doing other tests, without uploading anything (I swear), after a reset caused by EMI (other harsh EMI emitter device I powered on the desk, not connected to the board in any manner), I got SECURE flag also for this second chip. I can contact the chip with bootloader, retrieve info but that’s, just secure also. 3- ROM bootloader on KL17 fails miserably on mass-erase. The only command that usually can’t receive ping back and when it works, returning “success” flag, no deal, still secure. 4- Reading all I can about mass-erase it’s really messed about dozens of problems among diverse programmers/debugger that works well otherwise but not when trying mass-erase. I understand diverse situations can affect this, pin muxing interefering with SWD, clock/reset issues etc. Anyway it always involves some kind of vodoo, even with boards/chips holding basic clock/pin setups. This security scheme on kinetis is horrible, bad. It should have at least simple manners of protecting the chip against this, like setting special condition (read only/protecting) and flashing bypass of the flash configuration field e.g. Q: Getting P&E Micro or Segger is really expensive for me. I cant find it (i find just Segger/Jlink clone), only way is by importation and here on my country importation taxes are ridiculously highm also applied over shipment price. I’m considering USBDM device which I can find to buy locally. Is USBDM a nice option to try mass-erase and try getting my chip back? Q: I’m afraid about wasting lots of money for a programmer that will not fix my issue so, I’m wondering about testing: picking one of my K22F, upload OpenSDA (by means of the preloaded flashloader), and use it to try the tools for debugging/mass-erase etc. You know if it’s possible? I mean, there are other hardware (besides headers/USB connectors), on actual FRDM boards needed to make it work as a debugger? Not asking how to do it but if it’s possible using just the K22 chip, headers, connectors to achieve a usual debugger, this way to avoid sacrificing the chip for something that will have no chances to work at the end. Appreciate any clue. Again, thanks for all the blog’s material. 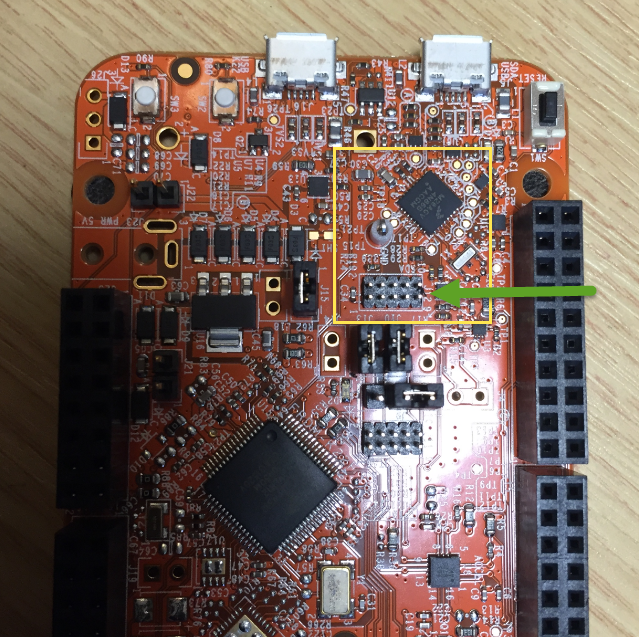 have a look at https://mcuoneclipse.com/2015/09/08/using-frdm-k64f-board-to-debug-another-kinetis-board/, same thing should apply for FRDM-K22F (I have not used that one for this, let me know if that does not work). I cannot guarantee that this will solve your problem, but it solved for me such kind of problems many times. Simply because the hardware/logic on that probe is better/faster than the one on the OpenSDA. I’m not sure what you used for the KL17 programming, but the bootloader/flashprogramming won’t help you in all cases: they work under ‘normal’ circumstances. 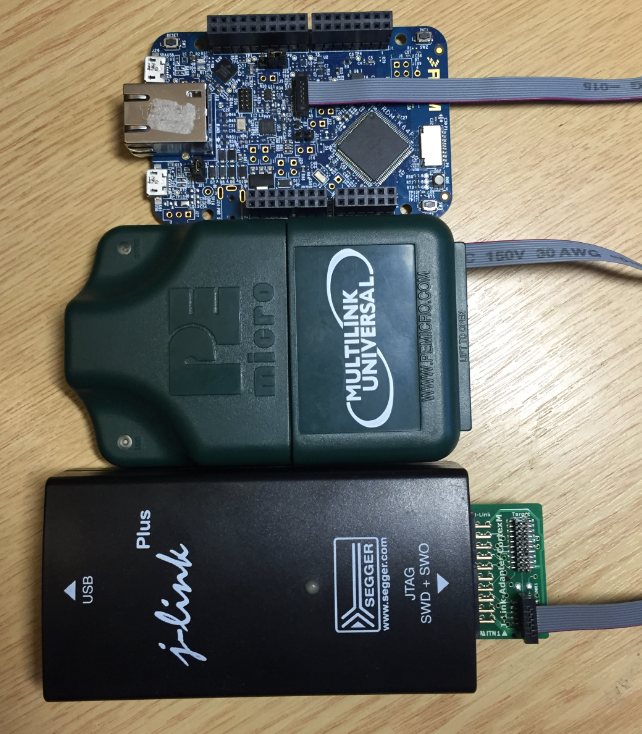 So the money invested in a good hardware probe is very well spent in my opinion. I am using the J-Link EDU to try and de-brick my K66F. I’m closely following the steps you outlined, however when I go to load the .bin file using loadbin the command prompt returns a message saying it “failed to download RAMCode”. Please get back to me whenever you can, and thanks for the info! Thanks for the tip! I disconnected the K20 from the K66 and that solved the problem.